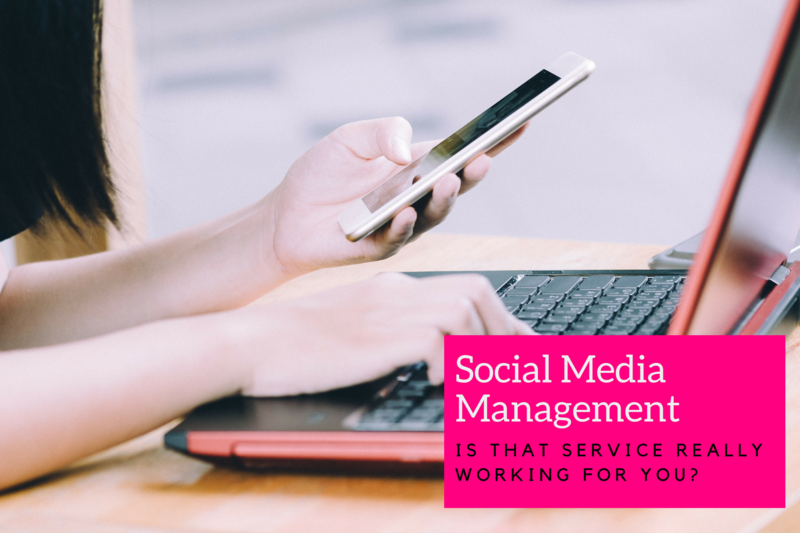 It’s common for businesses both small and large to pay for a service that supports posting content to their social media channels. Especially for the small business owner, it certainly takes some of the overwhelm out of your day to day efforts! But, is that service actually doing you a disservice? Paying a contractor or intern. Setting up an automated service with keywords to find curated content for you. An app or content repository that your company’s marketing department sets up. All of these things have different benefits, repercussions and impacts as far as what they do for your social media growth. This past week I had a phone call with a potential client. They are currently using a service to make sure they have daily content on their Facebook Page as they prepare to launch their business. What might be the problem here? One of the first questions that comes to mind when someone shares that with me is, “how much are you paying?” You certainly don’t want to throw away marketing dollars as you are launching your business for the sake of having a post that no one sees. In this particular scenario, the business had under 100 likes on their Facebook Page. Given the state of the Facebook Algorithm, the low number of likes on their page, no ad budget, and no social media content strategy, informed them that they were likely paying for a service to post content on their Facebook Page that only they see. That isn’t even accomplishing the foundational goal of extending brand awareness. Can a posting service be useful? Absolutely! But there are several important factors to consider to truly make this work for you and worth the monthly investment. Have a social media content strategy. Without this, you are shooting from the hip, posting for the sake of posting. Every post should have a goal and intention. Whether it is to raise awareness, educate, entertain, or generate leads, your written content and visual media should work together to accomplish that goal in a way that appeals to your audience. If your goal is “To get something out there today…”, you are wasting valuable resources. Know your brand voice and translate that to your service provider. Are they simply posting articles with the headline? Or are they adding intriguing copy to the post that is going to get someone to interact? Does it demonstrate your values as a company? And if they are adding copy, is it being written in a way that aligns with how you would actually speak with a customer? If not, take time to ensure your brand voice and message is understood & respected by your service provider. If you see something you wouldn’t say to a friend or client, it’s time to guide your brand voice. Put some money on it. Today, social media is a pay to play game. That’s not to say you can’t still get some good organic reach and engagement with exceptional content, but competition is tough, and great gains can be made with even a small advertising budget. Especially if you are launching a new business or channel, it is critical to have an ad strategy. You can run Facebook & Instagram ads and boost posts for as little as $1 per day per campaign to an extremely qualified audience. If your service isn’t guiding you on this, it’s time to seek out some additional services to fill in that gap! Make sure that if you’re paying for a service to post for you, that not only is it on-brand and accomplishing the goals of your business in alignment with your social media strategy, but that it is inspiring growth and community around your brand values. Next up I’ll get a bit more specific- what if your marketing department has created everything for you? Great! But don’t be a robot, make it as unique as you are!